What is OPM – How It Is The Most Vital Ratio To Evaluate a Business? OPM stands for operating profit margin and is represented in percentage terms. The operating profit margin is calculated from operating profit which is the total revenue of the company less the operating expense to generate the revenue. Note I mentioned operating profit and not the total profit. Tax, interest, depreciation and other such non-operating expenses aren’t considered as a part of the operating expenses. The operating profit margin is expressed as the percentage of the operating profit to the total revenue. As an example, if a company has a total revenue of 1000 Crores and operating expense (Raw material, employee costs, rent etc) as 910 Crores. The operation operating profit is 90 Crores (1000 Crores less 910 Crores) on a total revenue of 1000 Crores. So the operating profit margin or OPM is 90Crores/1000Crores aka 9%. Why OPM is Critical To Analyze a Business for Investment? As a finance blogger, I got this question for so many companies looking to be the next XYZ company. Like can Loveable Lingerie or Ashapura Intimates be the next Page Industries? Or can Ceat Tyre be the next MRF? 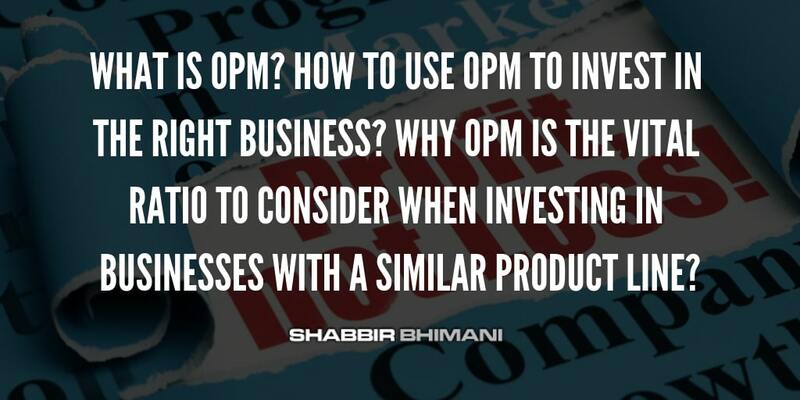 OPM helps me not only answer those questions but it also means if a company is in the process of producing similar products as other, it is wise to invest in the company with the highest OPM because it has the power to disrupt the industry. Let me first show a simple example of why I think no company can become a next Page Industries in the lingerie business. Page Industries is a very unique business and has exclusive rights to sell Jockey particularly in India. 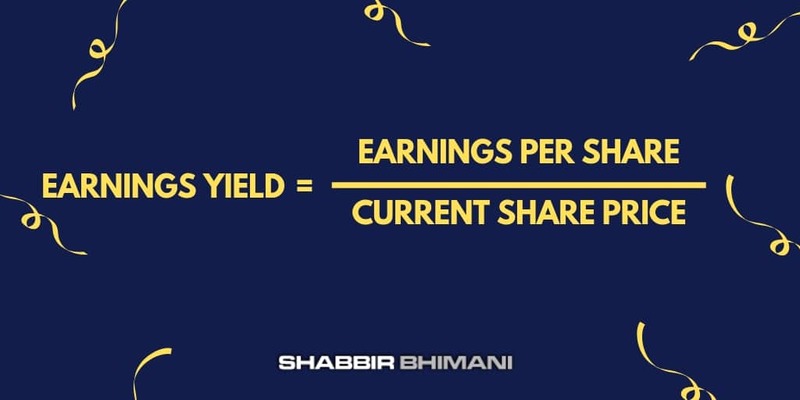 Still, if we consider it to be yet another men’s innerwear company just for the sake of understanding, this is how the operating profit margin or OPM of the company is when compared to its peers. The OPM of Page Industries is close to 20% whereas other players OPM is in the range of 10 to 12%. So if anyone expects any other company to become next Page Industries and want to grab the market share from Page Industries, it has to start operating at a better profit margin and then look to out price the competition. Till then there will be only one Page Industries. You will find similar observation when you compare MRF with other tyre manufacturers as well. So if anyone is looking to be next XYZ, it has to first operate in the same business and work towards increasing its operational efficiency and then outprice the competition. Let me share one more example of what I am talking about that I see it happening now. There is news floating about price war between Bajaj Auto and Hero Moto. If I remember, Bajaj revamped its operations and moved over from being scooters to bikes. If we look at the OPM of Baja Auto, it was lower than Hero Moto Corp a decade ago. At that time it was in the process of making a move from scooters to bikes. Slowly the OPM of the company has increased considerably and way above Hero Moto for quite some time now. Once the company has better OPM than its competition, they can indulge in the price war to out price the competition. It is always better to be investing in unique business but many unique businesses can have competing products. If you prefer a paint company for investment, the choice is obvious. Any unforeseen circumstances in the sector, the company with the highest profit margins can handle it well enough and benefit the most. If the company decides to increase the market share with a price war, as an investor, you have more margin of safety. You are here: Home / Financial Glossary / What is OPM – How It Is The Most Vital Ratio To Evaluate a Business?